Running is a Lifestyle, I run because I enjoy it and because every mile is a memory. Running the Chicago Marathon with temperatures in the 30’s and seeing so many people on the streets cheering, the music, the skyline, and the Finish line at the Millennium Park!!!! I pace because I enjoy the feeling of helping runners achieve their goals! Because I motivate, cheer, laugh and encourage runners all the way to the finish line … and because there’s always a funny story to share! Most important thing is to have fun … make sure you enjoy the race. Be ready to share your stories. I love running, I train hard and make every run count! Love to get involved and help those in need. 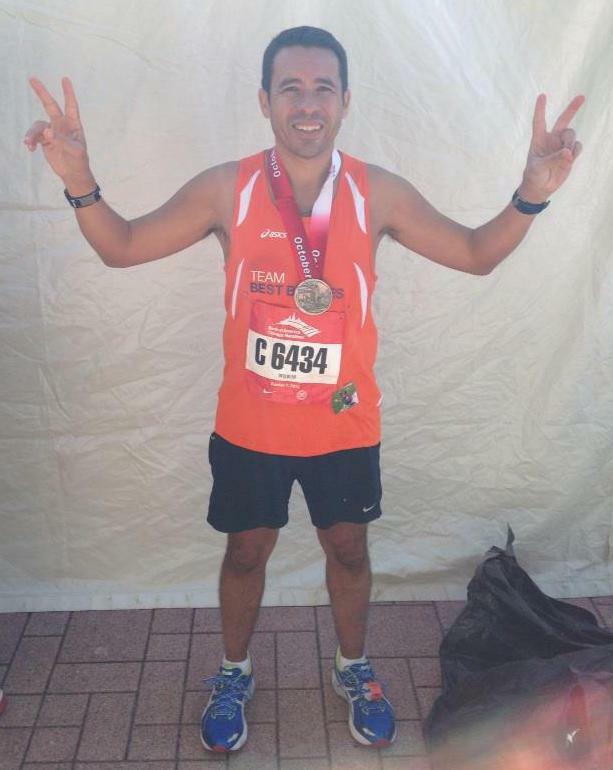 In 2012 I ran the Chicago Marathon for the Best Buddies International charity… what a great feeling!